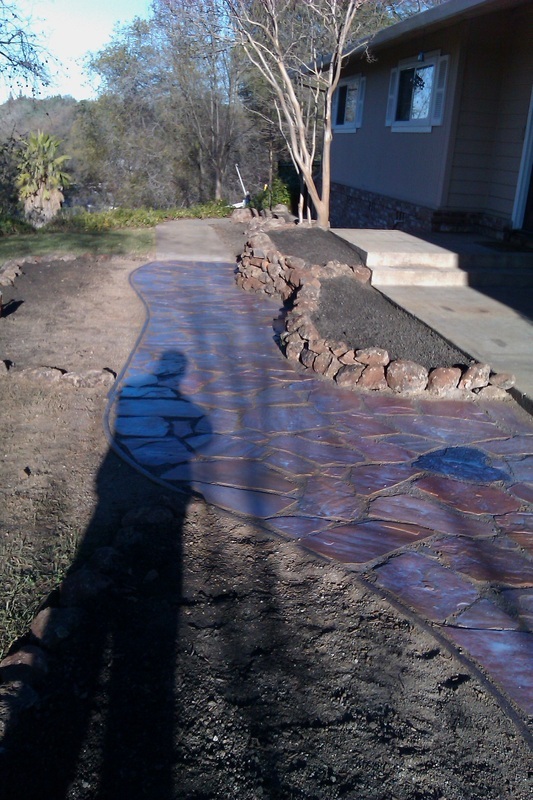 This is a residential landscaping project in Penryn, CA. The owners desired a walkway that was both natural and elegant. 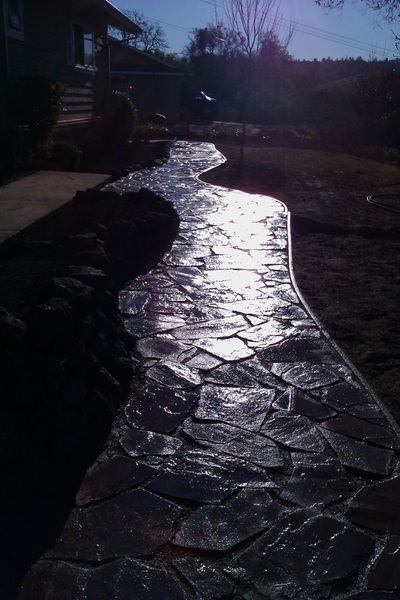 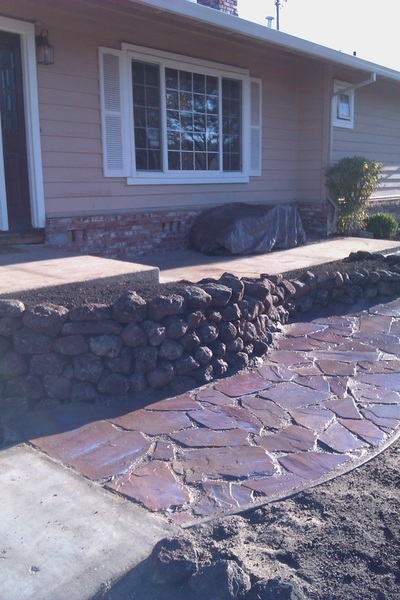 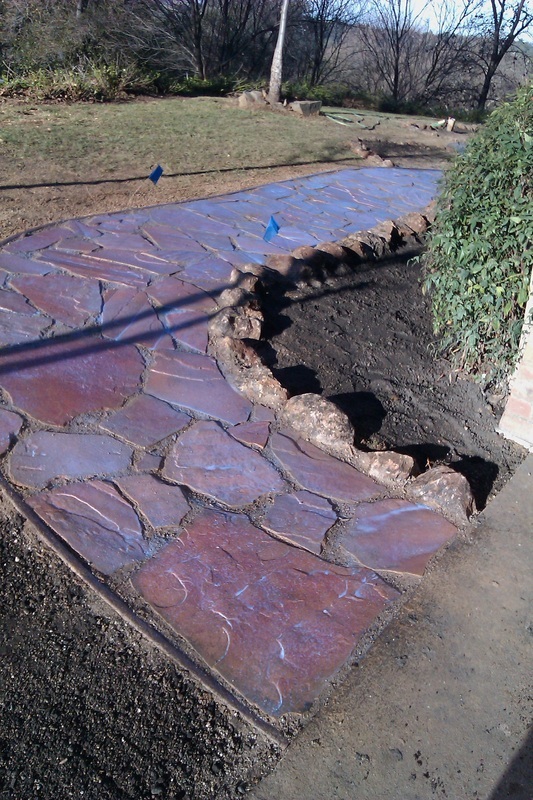 Turiace Landscaping installed a flagstone pathway set in DG (Decomposed Granite) along with a dry stacked boulder wall. Along the border with used moss rock boulder rocks.